Lawyer and social justice advocate Nyadol Nyuon recently asserted on a breakfast news program that media reports of a “Sudanese gang crime wave” in Victoria are unfounded, as crimes committed by that section of the community represent a drop in the ocean when it comes to overall violent crime. 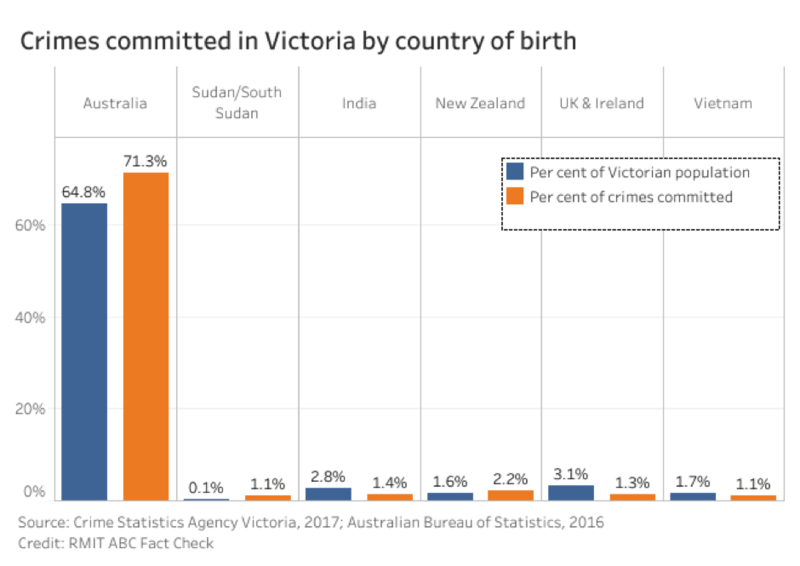 And a study by the Royal Melbourne Institute of Technology has since fact-checked the lawyer’s assertion, finding that people from Sudanese backgrounds are responsible for just 1% of crime in the state. The study flies in the face of sensationalist claims by radio shock-jocks like Ray Hadley, tabloid newspapers like the Daily Telegraph and populist politicians like Peter Dutton that Victoria is experiencing a violent crime wave at the hands of African gangs. Dutton famously claimed that Victorians are “scared to go out to restaurants” because of “African gang violence” in an interview where he regurgitated mainstream media claims of a Sudanese crime wave. Former Prime Minister Malcolm Turnbull followed with his two-cents’ worth, claiming there was “real concern about Sudanese gangs” in Melbourne. MP Christopher Pyne was later asked “are you afraid of African crime?” to which he answered, “No, why? Should I be?” Mr Pyne later revised his views and claimed there was indeed a legitimate widespread fear. 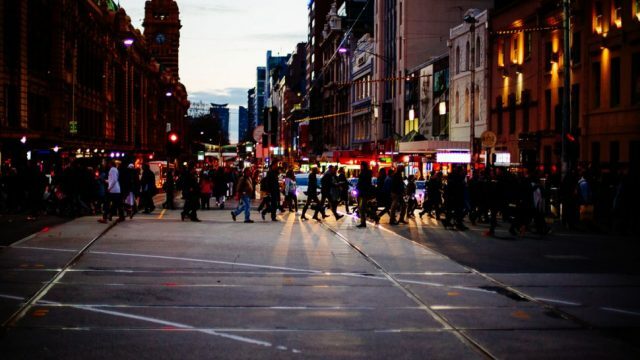 According to the Victorian Crime Statistics Agency (CSA), the vast majority of crimes in Victoria are committed by Australian and New Zealand-born people. Between April 2017 and March 2018, these nationalities com comprised 73.5% of the offender population. Those from Sudan made up 1.1%. That said, it should be noted that those from Sudan and South Sudan make up just 0.1% of the state’s population. But even so, claiming there is a “Sudanese gang crime wave” is a long bow to draw, considering violent crime is overwhelmingly committed by other groups. It should also be noted that crime statistics suggest an overrepresentation of those in other marginalised communities such as Aboriginal and Torres Strait Islanders, and that factors such as low socio-economic status, low education and employment prospects, inadequate access to housing, overpolicing and mental health issues resulting from past abuse, can play an important part in a person’s decision to resort to crime. So rather than demonising already-marginalised communities and creating hysteria – which in turn further reduces employment, education and housing prospects – perhaps it is more productive to look at addressing underlying risk factors if we are serious about reducing crime. Figures released by the Equal Opportunity and Human Rights Commission (EOHRC) suggest a staggering 76% increase in formal complaints about racially-motivated discrimination over the past year. Most of the complaints related to employment (50%) and the provision of goods and services (38%). Calls to the race-related Enquiry Line are also up by 34% over the same time period, from 470 to 630. “This sudden jump in race-related discrimination reports should be a wake-up call for politicians who have made racially divisive statements,” remarks Commissioner Kristen Hilton. Victorian opposition leader Matthew Guy has used the hysteria to his advantage, promising to eradicate “African gang violence” and accusing Labor of failing to make the same promise. Mr Guy is the same politician seen having a lobster dinner with alleged Calabrian mafia Godfather Antonio “Tony” Madafferi and several of his associates. Mr Guy claimed to have no idea Mr Madafferi was going to attend the Lobster Cave, which was the same thing he said after a 2013 Liberal Party Fundraiser bankrolled by the Calabrian-born businessman. Unfortunately for Mr Guy, Liberal Party figure Barrie Macmillan was recorded suggesting the purpose of the dinner was to solicit further donations from Mr Madafferi, and that Mr Guy’s office was indeed advised the alleged crime figure would be attending. “You can’t associate Matthew with money, and I would have to be the intermediary, but I’m talking about a swag of money that they’re prepared to give,” MacMillan was heard saying. Former AFP Commissioner Mick Keelty estimates that the Calabrian mafia is responsible for importing 60% of all illegal drugs into the East and South coasts of Australia. The group has also been identified as the biggest importer of methamphetamines, including “ice”. But of course, no specialist task forces have been established to target the group – unlike those established for motorcycle club members and “Middle-Eastern” people. An investigation by Four Corners suggested that the Calabrian mafia had used several well-known political party donors to put a “legitimate public face” on its activities, and to avoid political scrutiny and targeting. So while politicians are claiming to be “tough on crime”, it is telling that they pick and choose which alleged criminals they demonise and target, and which ones they ignore and allegedly benefit from.